Animated Outdoor Holiday Decorations and Christmas lights and decorations is all we do here at The Holiday Light Store! We are open year round and specialize in all types of outdoor Christmas decorations, Christmas lights and Holiday yard art for homes and businesses. We currently have over 3000 square feet of displayed Christmas yard art and outdoor holiday decorations for you to physically view. 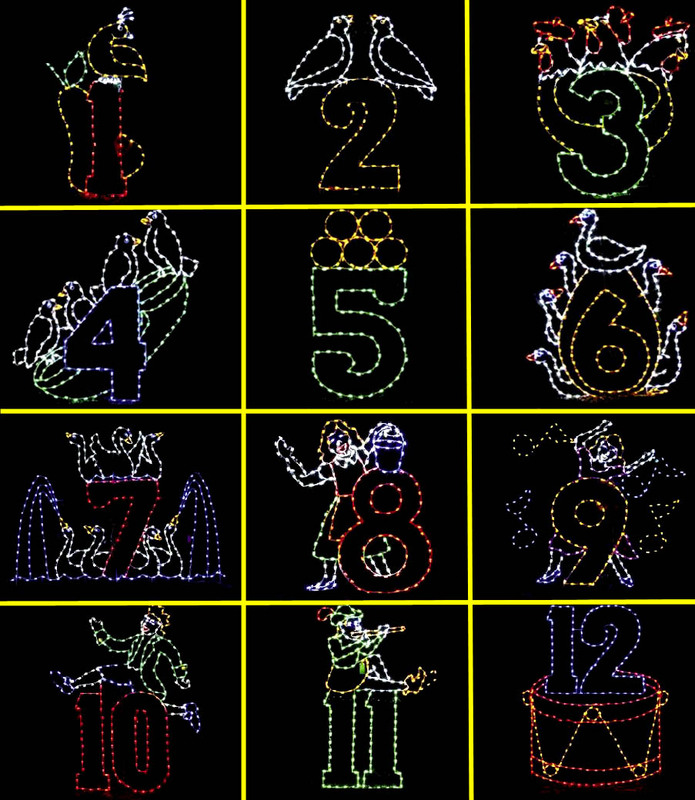 Many of our displays animated outside decorations. We also have another showroom with thousands of different types of Christmas lights, gift items, Christmas trees, Christmas tree decorations and decorations for other holidays; Halloween, Valentine's Day, Easter, Thanksgiving, and more! The Holiday Light Store is locally owned and operated in Raleigh North Carolina by Lin and Cindy Honeycutt. With over 20 years experience in the outdoor holiday lighting business, we extend a special invitation to you to visit our holiday decor store if you are local or visiting Raleigh as well as shopping our online store. All of our yard ornaments are made of 1/4 steel frames, handcrafted for quality and durability. Because our products are handmade, actual measuresments may vary. They are powdercoated to endure outside weather condition for years. We use high quality UL approved mini lights and LED M5 lights with 2.5 inch spacing. If one bulbs goes out the rest of the lights will stay on. Our lights are held on with 1/4 inch clips that will not decay like tape does after a couple of years used by other companies. All prices do not include any shipping prices. .